Howdy – so happy you dropped by! Grab a cup of coffee and stay a bit. Welcome to our shop! If you love all things scrapbooking, mixed media art, card making, art journaling, junk journaling then you are in the right place! Here at ButterBeeScraps you will find metal filigree embellishments, Tibetan charms and other scrapbooking embellishments. We also stock rhinestones, cameos and cabochons small hardware items, and many jewelry findings and beads. A little bit about us, we have been in the creative world for some time…do you remember the days of tole/decorative painting? Well my husband and I had a small cottage shop creating wood pieces for tole/decorative painting shops and I also taught decorative painting. We did this as supplemental income while our children were younger and then we decided to see if we could sell our pieces to catalog companies and so birthed The Wooden Nickel. I would design the pieces; my husband would manufacture the pieces, and my children and I would paint them and ship them off to the catalog companies. It is such a wonderful feeling to know that someone appreciates your work so much so as to buy it and place it in their homes. This afforded us a wonderful off-the-grid lifestyle in North Central Washington, close to the Canadian border, for many years and a wonderful way to raise our children. 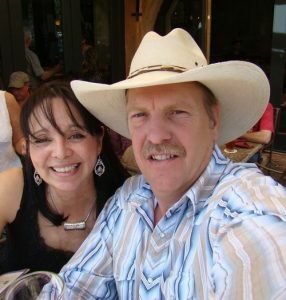 As time would have it, we decided to go back to the “rat race”, moved to New Mexico and went back into the business world, and I didn’t pick up a paintbrush or a piece of wood or canvas for some time. But as you know – if you are a creative soul it can’t stay down forever! A girlfriend was making cards and introduced me to the world of stamping, and a few months later, I became a Stampin’ Up representative, more for feeding my own appetite for stamps than anything else. The natural progression was the world of book making, mixed media and all things paper, paint and stamps! That brings us to today – and ButterBeeScraps. While we offer many wonderful creative goodies here, just as before, it is my husband and I (the children are grown and on their own) running all things ButterBeeScraps. We are looking forward to getting to know each one of you. If there is something you cannot find in our shop, please feel free to contact us and make any special requests.